The South Korean actor Gong Yoo, a heartthrob of many and Asia’s ambassador for ASUS, launched the company’s highly anticipated array of phones (A good choice we must say!). The Zenfone 4 Selfie Pro comes with a 5.5 inches touchscreen display, 16 MP primary camera, 24 MP and 5 MP dual secondary camera, 4 GB RAM, and 3000 mAh battery. The phone runs on Android Nougat OS. Thinking of buying this phone? Check out 10 best cases for Asus Zenfone 4 Selfie Pro in this list below! This is an ultra-thin transparent soft gel case made from thermoplastic urethane. Precise cutouts allow full access to all phone’s functionalities. The silicone TPU is light to hold and offers a comfortable hand grip. Your phone is protected from bumps, knocks, and scratches. The premium satin finish doesn’t show fingerprints and makes the colors vibrant. Enhanced corner protection uses the bumpers to make the unit shock and impact proof. Designed for Asus Zenfone 4 Selfie, this is a hybrid heavy-duty back cover case that protects against bumps, shocks, drops, and dust. The polycarbonate shell keeps the device pristine while the TPU protects your phone from impact shocks and drops. An integrated kickstand allows for hands-free and landscape viewing. The back, edges, and corners are defended well! Available in 7 different colors! Specifically designed for Zenfone 4 Selfie Pro, this is a premium quality compact and elegant back cover case that defends your precious phone from scratches, scrapes, dust, debris, daily wear, and tear. A subtle wire drawing pattern provides extra grip. The case uses environment-friendly TPU with carbon fiber that acts as a sack for protecting from impact drops and shocks. Precise cutouts are made for all phone’s functionalities to ensure effortless working without removing the case. This back cover case by Gosento can endure scratches, scuffs, and marks more than a regular case. Exact fit ensures all-rounded shock prevention and absorption. The corners are protected with air-cushion technology that makes the unit less vulnerable to damage via accidental drops. Precise cutouts enable access to all phone’s functionalities. Easily snaps on and off! This is an ultra-thin polycarbonate back cover case for Zenfone 4 Selfie Pro. The case provides you with a comfortable grip and light hold. Cutouts for camera and controllable buttons are made for the smooth and easy access without taking the phone out of the case. Your device is protected in style from everyday abuse. Available in black, blue, red, and white colors. Made ultra-thin and cotton soft, this is a fully transparent back cover case that partially encapsulates your device. Your phone is protected from scratches, scrapes, dust, debris, daily wear, and tear. Cutouts for all phone’s functionalities are precisely made. Engineered meticulously for an excellent user experience! This is a full coverage folio-styled flip cover case designed for Zenfone 4 Selfie Pro. The exterior is manufactured using premium quality PU leather while an interior clamshell holds your device snugly. Precise moldings enable easy access to all available functions and ports. Protect your Zenfone 4 Selfie Pro in flair! This is CoverON’s slim and flexible transparent cover case that partially encapsulates your device from the back. The case is made from premium quality semi-hard and semi-soft thermoplastic urethane that absorbs shocks for premium protection. The minimal design adds no bulk to your device and maintains the phone’s original look and feel. Slim, stylish, and lightweight for everyday convenience! This is a hybrid shock absorbing back cover case for Zenfone 4 Selfie Pro. Made of the premium quality scratch-resistant TPU and hard polycarbonate, your phone is protected well from drops and shocks. Moreover, the TPU evenly distributes the impact and offers minimal damage to the encased phone. The slim and light-weight design offers easy snap on/off and quick installation. The raised bezels prevent smearing of the screen when placed on a flat surface. 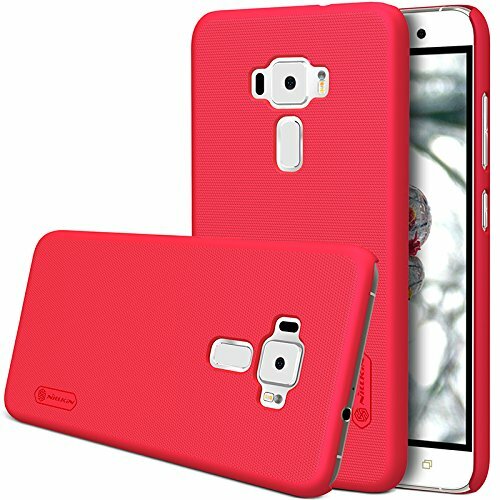 This is Gosento’s shock absorbing, TPU case that partially encapsulates the device from the back. The shock absorbing case can easily endure all the impact forces from the drops. Enhanced corner protection, as well as perfect cutouts for all the phone’s functionalities, are provided. The wire drawing and subtly reflecting pattern on the back offers comfortable hand grip and keeps the device pristine.